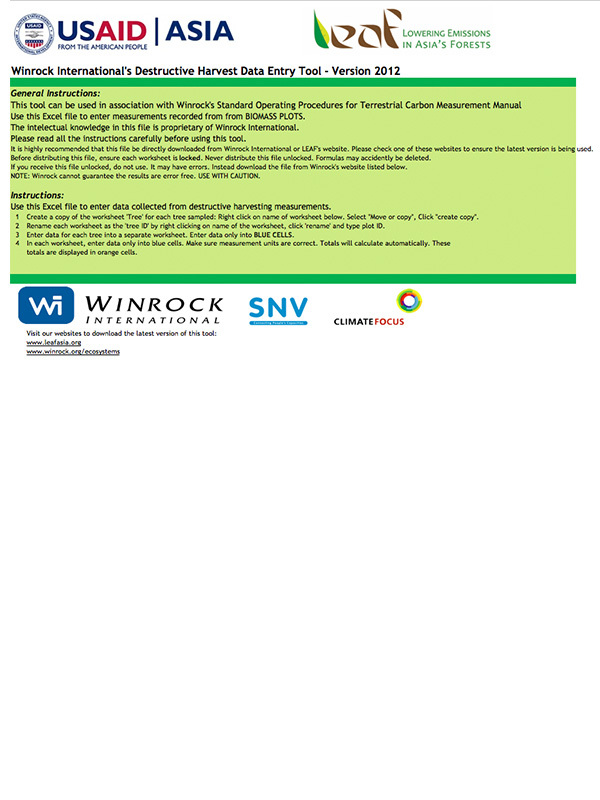 This module provides guidance on the stratification process for the development of accurate and statistically rigorous estimates of forest carbon stocks based on available National Forest Inventory (NFI) data. Not all forests have the same composition, structure and carbon stocks; therefore forest carbon stratification divides the forest area into groups (strata) with similar carbon stocks . Stratification increases the precision of carbon stock estimates as it diminishes the sampling effort necessary, while maintaining the same level of confidence, because of smaller variation in carbon stocks in each stratum than in the whole area. The purpose of stratification for situations where national forest inventory already exist is to optimally divide forest areas between areas with carbon stock similarity. This is part of LEAF’s Technical Guidance Series for the Development of a National or Subnational Forest Monitoring System for REDD+.